At home, universal education and health care were accomplishments that came at the cost of human rights and democracy. Dissidents were thrown in jail and their relatives who protested were often intimidated by pro-government mobs. “Fidel Castro kept power through fear, through the use of the secret police, through manipulating political forces — just like Stalin did or just like Hitler did,” Calzon said. 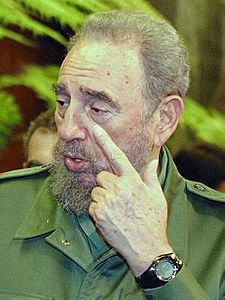 Castro frequently denounced the United States, often staging mass rallies to protest the U.S. economic embargo against his country. Now that Fidel Castro is dead, what’s ahead for Cuba? Well, it would seem like his death may help lead to greater cooperation among the nations of Latin America. Most of the peoples in Latin America, including Cuba, are Roman Catholic. And this is true of nearly every nation there. Religion, thus, is a major cultural tie to Europe. The fact that the current Bishop of Rome, Jorge Mario Bergoglio, now known as Pope Francis (see also Argentinian is now Pope Francis), was born in Argentina also will help cement the ties further to Europe. Certain parts of Latin America are also politically quite connected to Europe. Most of the Spanish-speaking nations have ties to each other as well as Spain. Even now, the Latin American nations are gaining political influence in the world. Because of the cultural, ethnic, language, legal, and religious ties between Europe and Latin America, the two regions will likely cooperate more in the future. These ties will be primarily economic, along with the religious and cultural ones, but also may include some type of military cooperation. Based upon Ezekiel 27:12-23 and other scriptures (cf. Revelation 13:1-10), it appears that Latin America will align with Europe some day. A Europe that will ultimately be the Beast of Revelation 13:1-10. Of course, individuals in Latin America, Europe, and Cuba can resist and instead obey God. And hopefully many will. Christian Repentance Do you know what repentance is? Is it really necessary for salvation? This entry was posted on Saturday, November 26th, 2016 at 8:30 am	and is filed under Prophecy.